Come and experience resort style living in the gated Rio Del Sol community! 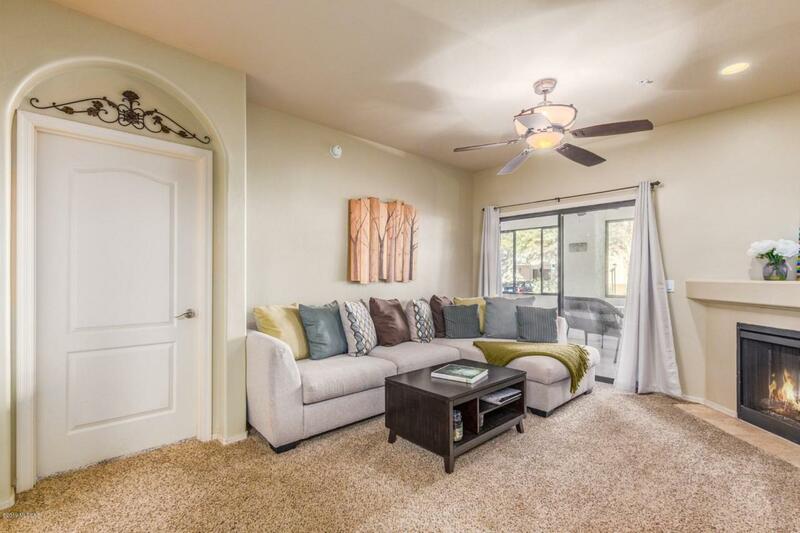 This home is 2 bedroom 2 bathroom condo with a garage and upgraded cabinets and granite countertops in both bathrooms and the kitchen. There is an enclosed patio which creates a beautiful multi-purpose room with endless uses. This property has Resort-Style Amenities including Fitness Room, 2 Pools, 2 Jacuzzi's a private clubhouse and is literally steps away from the River Walk/ bike path which leads to St. Phillip's Plaza which has wine tasting, shops, restaurants etc. A weekly Farmer's Market, Trader Joe's and Joesler Village.